One way to decorate the walls of our home is by adding shelves on them. Aside from decorating them, using shelves could also be an added storage for books and other items. It may bear collections and other useful stuff we have at home. 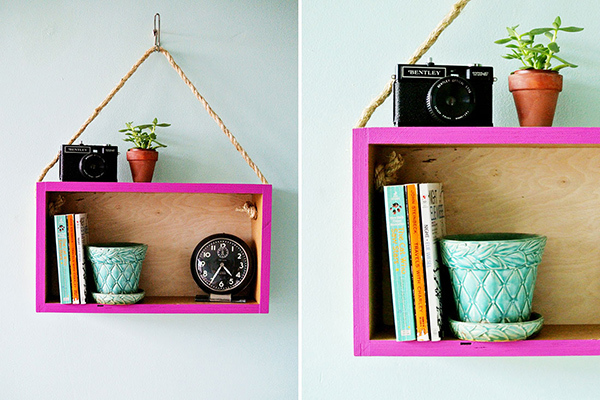 But did you know that you can actually make your own wall shelf? It would really be awesome if we could make even the shelves for our boring walls. 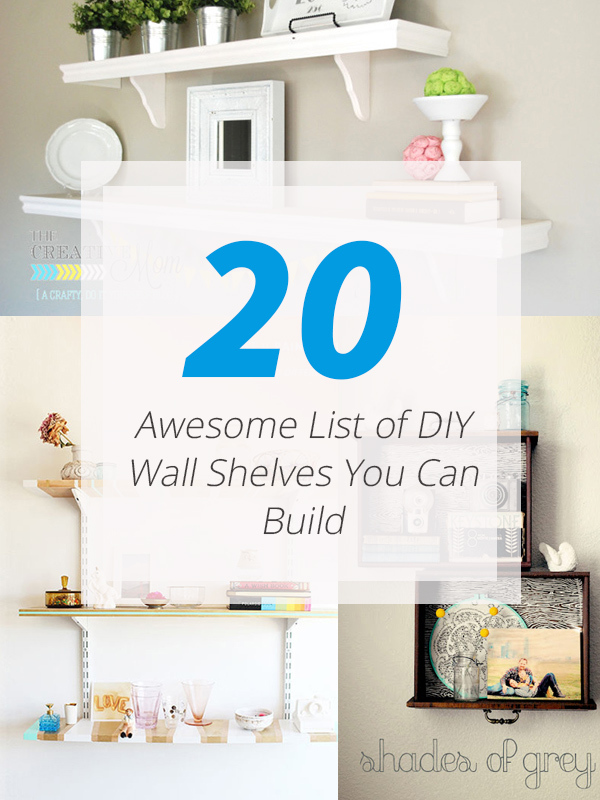 We have collated some DIY wall shelves which will surely inspired you to make one using some available materials in the house. Most of them may include a bit carpentry and wood working. But what I am sure of, you can make on as long as you are creative and you have that determination to make one! 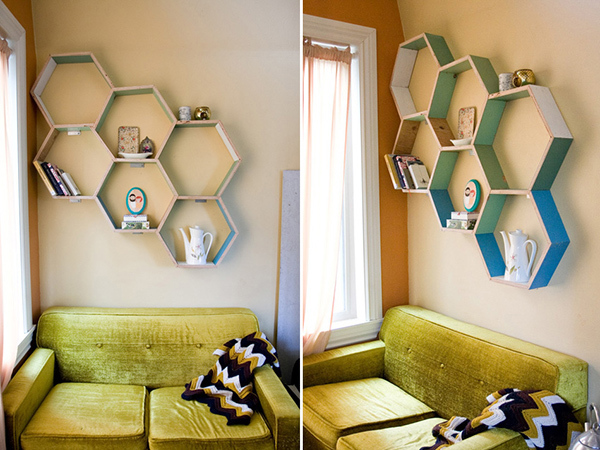 You’d feel like the bees are buzzing in your home with this wall shelf design! 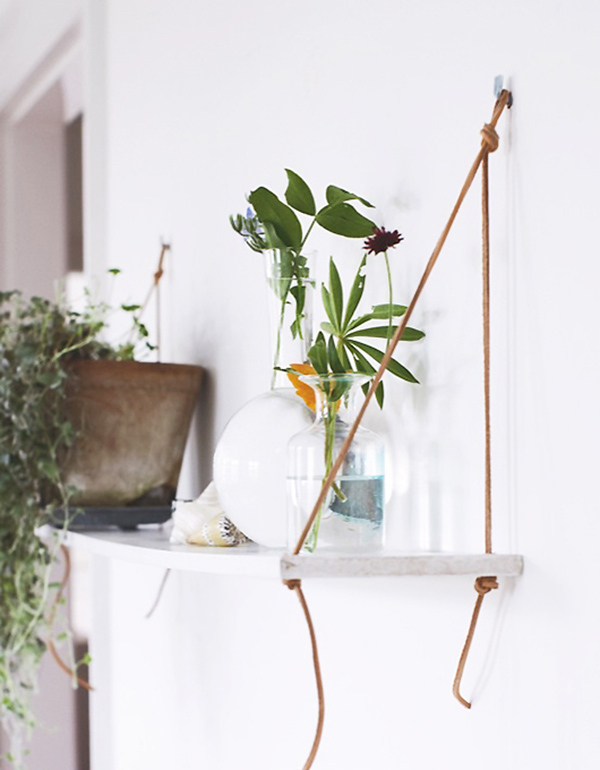 Indeed a unique way to install shelves on the wall using leather straps. An industrial looking shelf with stained wood that sits on a pipe. Lovely! 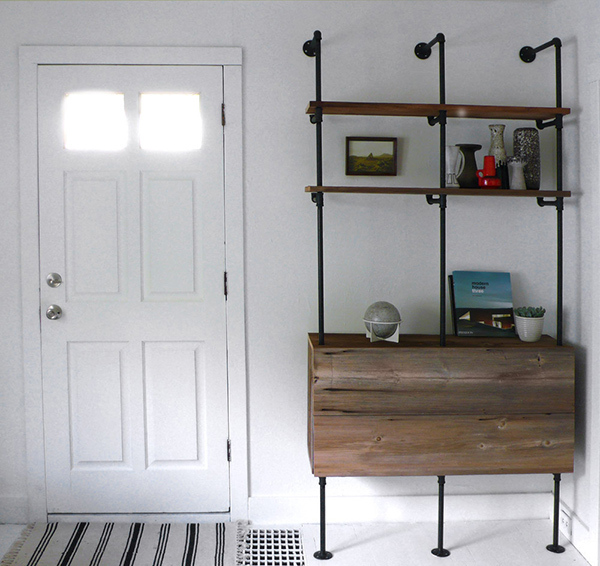 Aside from leather straps, you can also use leather cords too for the wall shelf. 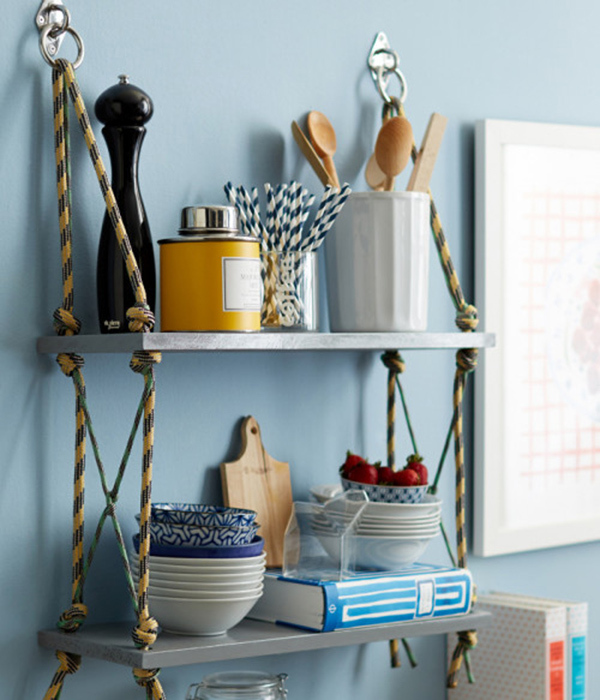 I like the look of this shelf with beads on the rope! So Scandinavian indeed! 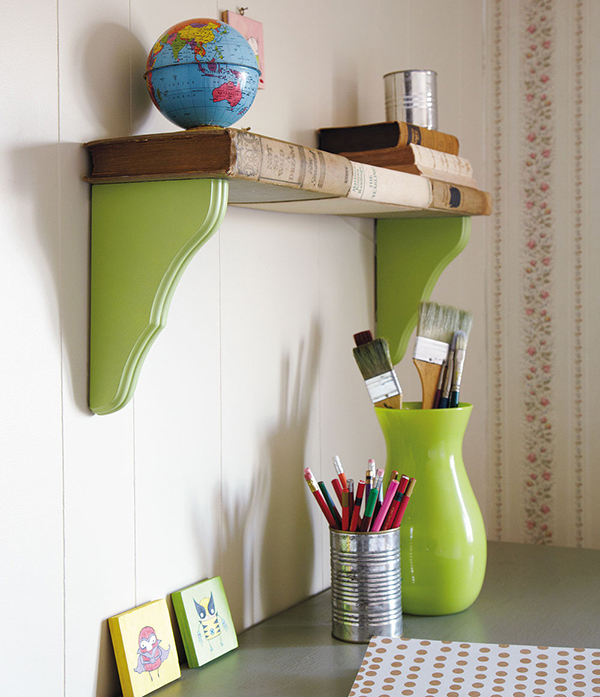 Who wouldn’t love a shelf that is so easy to make? 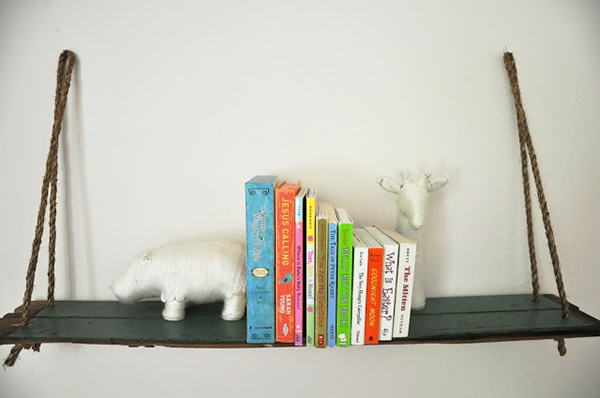 Get a rope and wooden boards and you have a lovely shelf! I’m sure you will like this one too. Just a wooden box and a rope and you’ll get what you want. 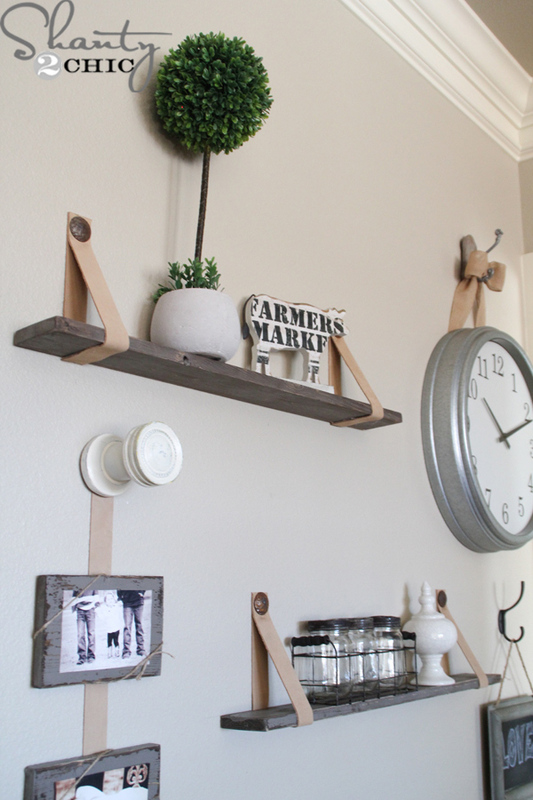 You can use barn wood as a shelf too like this one and it will look totally nice. 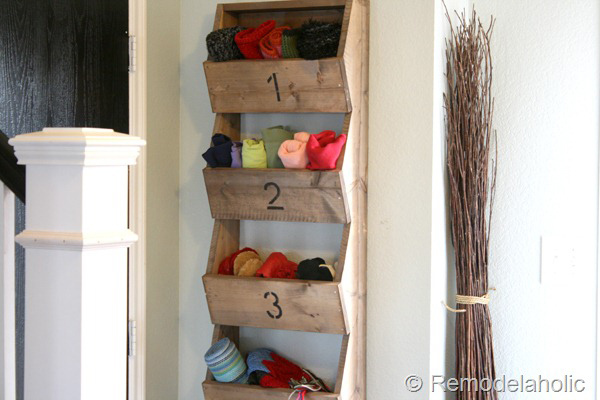 A good way to use crates is to turn them into beautiful shelving like this one. 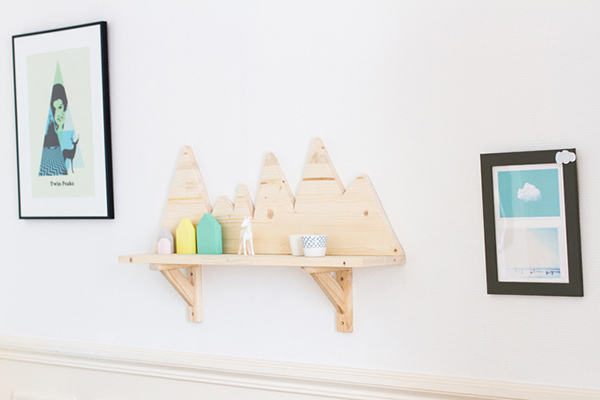 They built this shelf using wood with a rustic appeal. 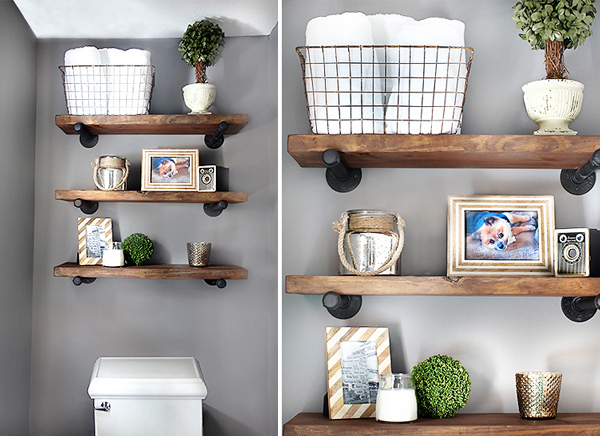 Add an industrial look to your space with this shelf. 12. How to make a Hanging Bathroom Shelf for only $10! If you have a wooden ladder that you no longer use, tie it up the wall! 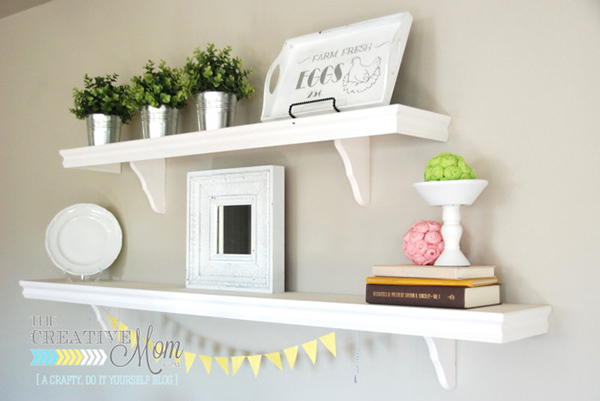 This shelf has glossy white and gold spray paint as well as aqua craft paint. It looked really fab! I so like how these shelves turned out! I am thinking where to get an unused drawer! Got old books in your house? 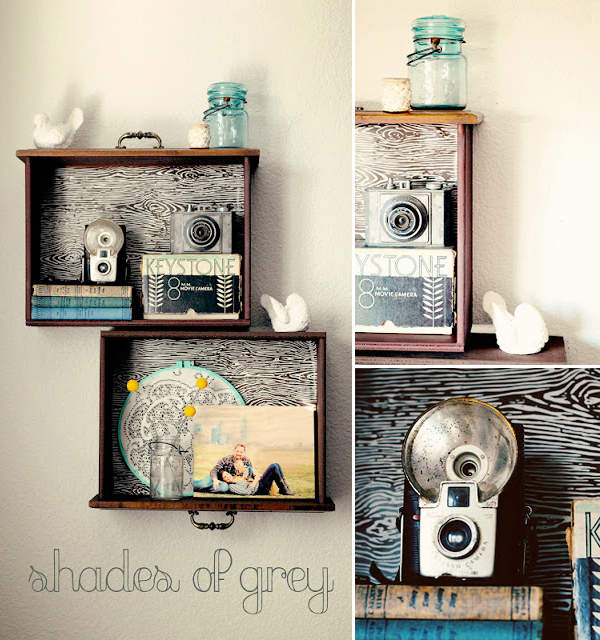 Make a shelf like this one using those books! 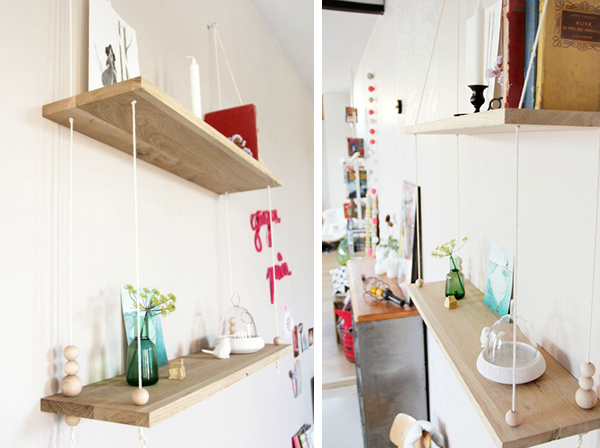 These are indeed stunning cafe shelves that is a mere DIY. This means you can also make one for your home! I always wanted to try making this one. They just look so amazing and easy! 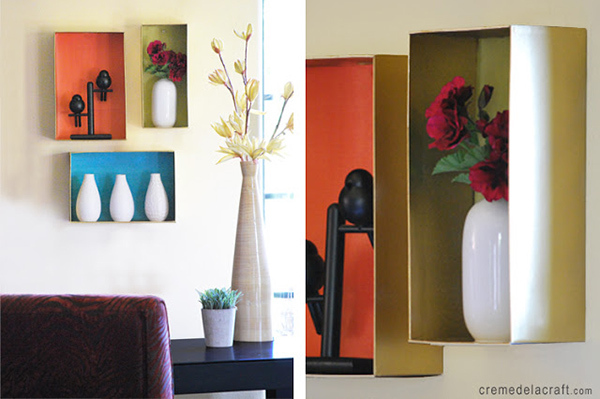 Why don’t you give your wall some playful look with a shelf like this one? 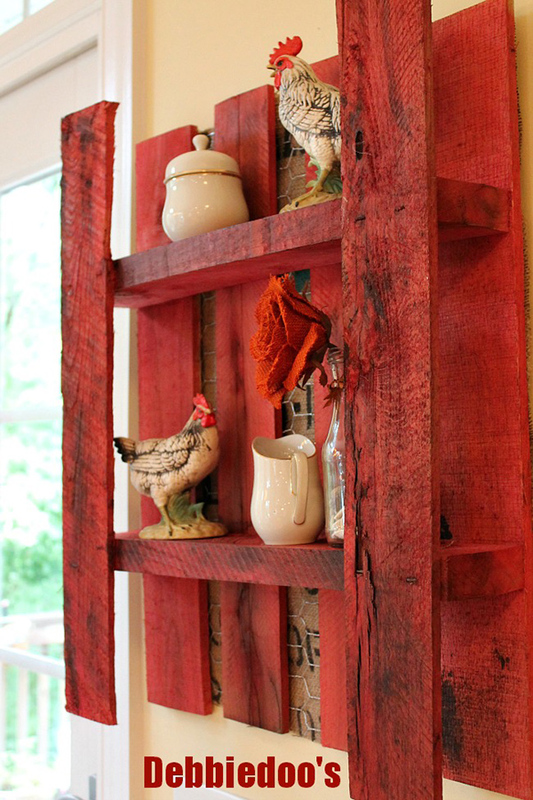 This is a lovely way to use pallet for a wall shelf. I’m sure you will fall in love with this shelf that obviously spells L-O-V-E! 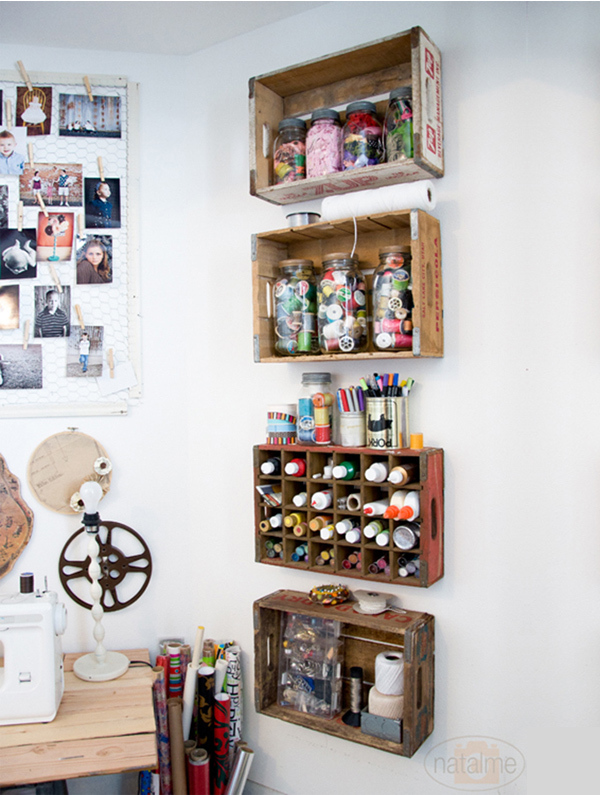 Isn’t it amazing that you can make your own shelf? 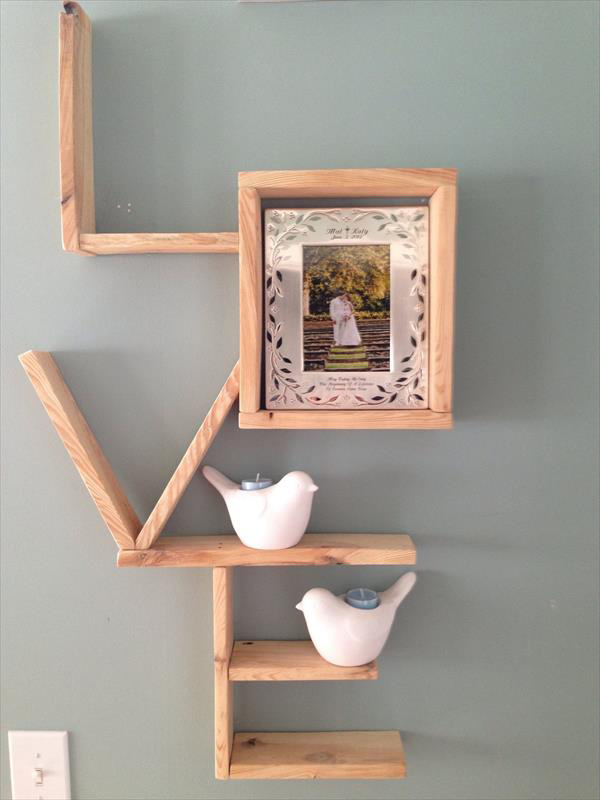 We are happy to make small stuff for the home but making a wall shelf would be a totally different story. I am pretty sure that if you have one, you’d be extremely happy and proud of it! 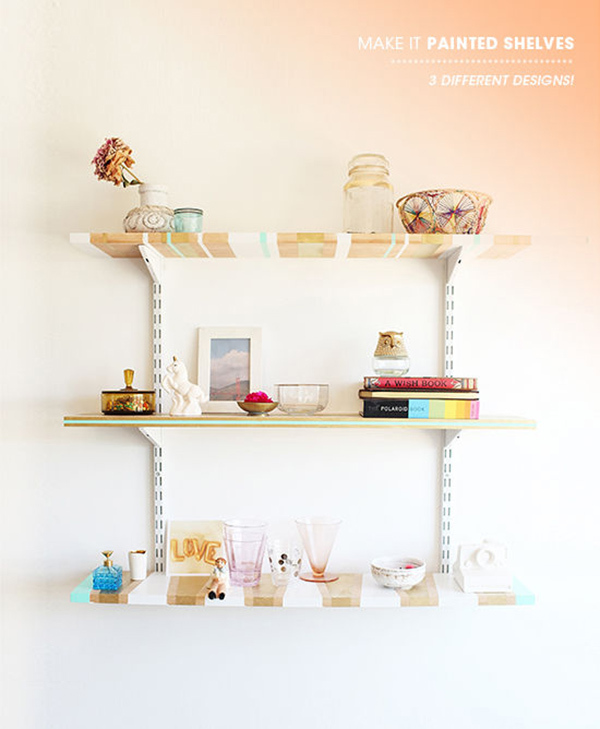 The above DIY shelves is another set of ideas that relays the message that we can actually make anything and everything as long as we are creative and we have that will to do it!